Do you like the new OnePlus X? When the original One was unveiled, the OnePlus startup positioned it as the best value-for-money handset your cash can buy, and in paper it was indeed so. Fast forward a year and a half, and an invitation system creating long waiting lists, limited geographical availability, plus bugs galore, brought OnePlus back to Earth. The OnePlus 2 successor, while having some unique twists both in terms of design and hardware, is now one of many affordable "flagship killers" coming from China. 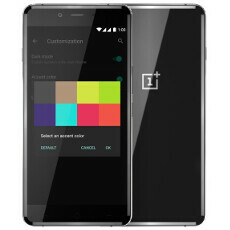 The OnePlus X that just got official this morning, is the company's first attempt to diversify its smartphone line, with its external appearance undoubtedly one of the main selling points. The phone will be offered in two versions - glass-and-metal Onyx options, and a limited Ceramic edition, which will be more expensive and only offered in certain markets. Reaffirming the design chops of the OnePlus X, its 140 x 69 x 6.9 mm dimensions are as good as they come for a 5-incher, so you will be getting a thin and premium midranger with fine specs for $249 when it launches stateside come November 19th. This is why we wanted to ask you if you like what you see, and maybe consider obtaining one when it lands. Granted, it is not spec'd as well as the One A9, but it's half the price, too. Take your pick in the poll below, and air your opinion in the comments. i would get it, if it was available in Romania, for that price. Most devices that cost 250$ in the US, here they cost around 100$ more. I will consider it if the price and battery are good. Stupid invitation system will kill this for sure.. If they'd announced it sonoer I might've waited, but I already got my Z5C. No mostly because I still have a working phone. I would definitely get this phone if it had LTE band 17 support. But it looks like the US version won't so that's a total deal breaker! The design of the phone not so special. Looks quite well designed. If it had a SD808 in it I would have bought it. Good design but always substandard performance. Design is nice, but all I want from it is the MicroSD card slot + alert slide + FM radio antenna merged into my OnePlus One...really can't trade the carrier and manufacturer OS independence for anything at the moment.